Karel Mulder, the son of the jailer’s hand, was born in 1812 in Goes, Zeeland, in the Netherlands. 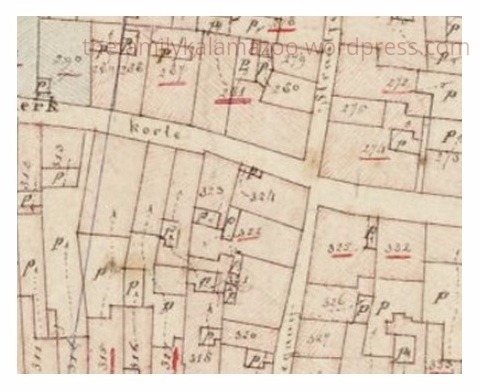 When he died in 1870, he owned 3/8 of a house in the Papegaaistraatje. It was located in the inner city of Goes, but in a small alley off the main roads. See the house above: it is at the current location of D 278 in the blueprint below (found on WatWasWaar website). It’s very hard for me to read, but isn’t 278 at the very top of the image in the middle? Do you know what this style of building is called? And is the facade original or not? Any ideas? This could be the house owned by Karel Mulder. Or not. What do you think? Hard to tell the style without the whole building. Victorian buildings were mocked for their refusal to stick to any one style; designers liked throwing everything into the mix. Is papagaistraat parrot street? It seems designed for a small alleyway with all that window space to maximise light. Yes, she Elly’s comment below. This style is similar to buildings in Michigan from 19th century. But that covers 100 years …..
well isn’t that interesting! I wonder if someone lives there currently and if they know the history of the home they are living in. I do not want to be eerie but I think of spooky stuff just because it was owned by a murderer in the 19th century. No murderers that I know about! That’s a scary thought! The Papegaaistraat in Goes is a main street for shopping from the beginning . Nowadays it is traffic -free like many old Dutch towncenters. 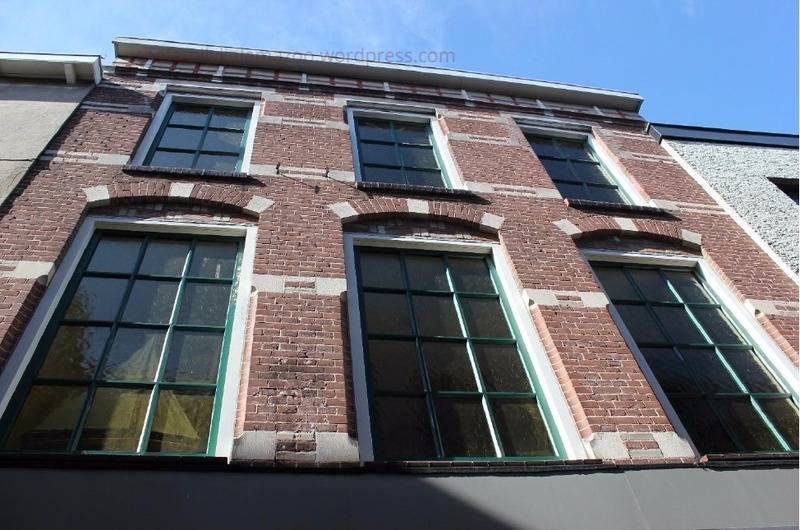 The name “Papegaaistraat” (Parrotstreet) comes from a house with 2 papegaaien ( Parrots) of stone on the house front. In which house Karel lived is hard to tell, because in 1920 and in 1949 there was a change in house-numbers for all the houses. That is all great information, Elly. I owe you some emails! Wish I could help. I am not familiar enough with the location or the architecture there to be of any use here. Yes, it needs to be someone local to the region or a real expert. Sigh . The facade looks original from the state of the brickwork. The style looks more Georgian than Victorian, suggesting early 1800s. Oh, that is very helpful! If that is the case then this would definitely be the same building!! !